With our top-notch custom laser cutting services, Weaver and Sons is able to meet precision tolerances down to .005″ or closer. 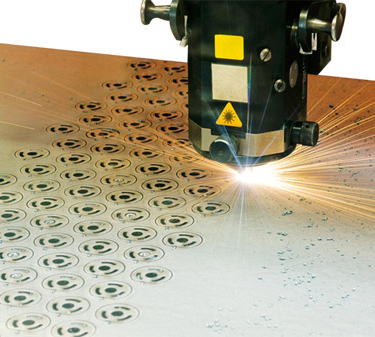 Our superior laser cutting machinery is equipped to work with a broad range of materials. We routinely cut steel, stainless steel and aluminum ranging from 24 gage to 5/8” thick. With auto nest capabilities and a fully automated material handling system, we can increase efficiency and reduce lead times by running around the clock – even without operators in the building. At Weaver and Sons, our laser cutting operations are located under the same roof as our other manufacturing services, which allow our expert engineers to easily fulfill our customers’ unique delivery and quality requirements. To learn more about our premium laser cutting technology or other material options, contact our company today.